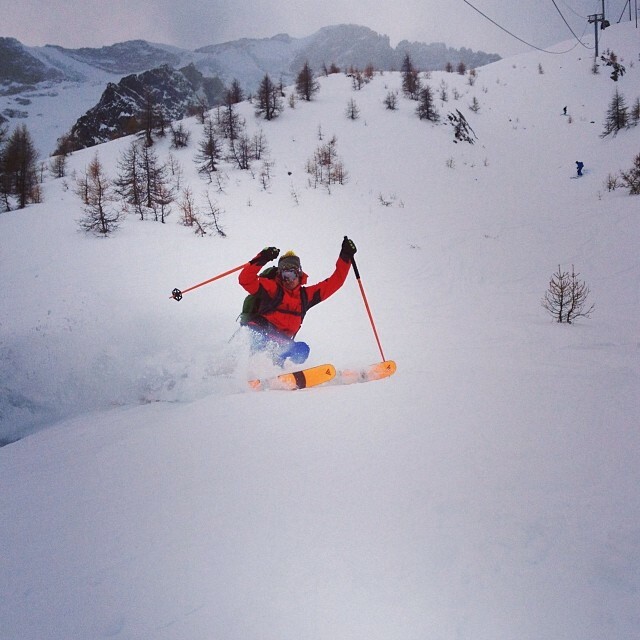 As part of the British Mountain Guide Scheme, this January I have spent a couple weeks doing a ski technique training course, a week long avalanche course and a one day assessment of our personal ski level. The BMG seem quite keen to raise the standard of skiing for British guides, and it seems the level has improved in recent years. 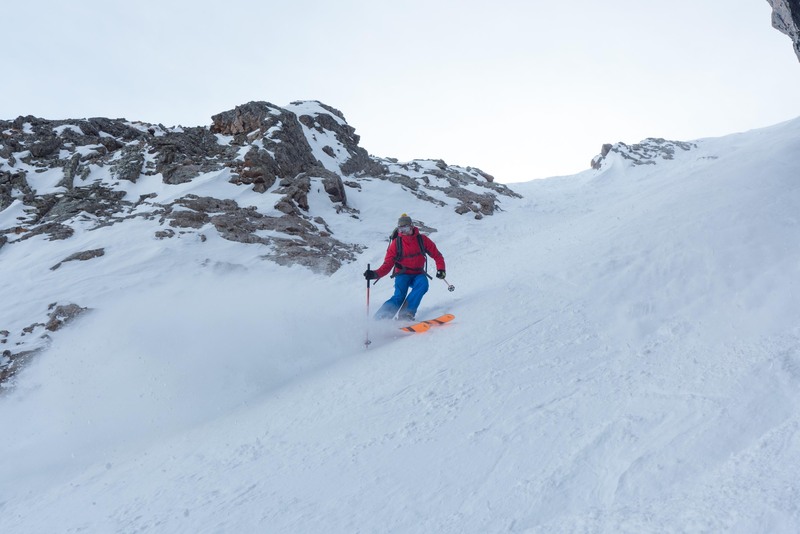 The ski technique course was run in Leysin, Switzerland and our tranier was Alex Languetin, a Swiss instructor of the very highest calibre. Leysin is a tiny resort with a limited area, but it was fun blasting around the pistes. The one thing I struggled with was imitating Alex’s ‘flying stem turn’. Anselme Baud was one of the opriginal advocates of this technique whereby the skier initiates his turn on steep slopes by first pushing off the downhill ski. 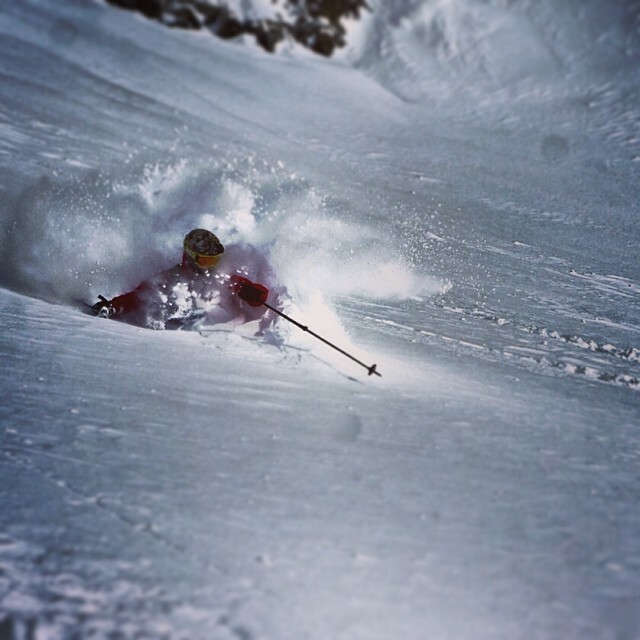 I have long since drilled it into my brain to initiate off the uphill ski on steeps (Vallencant technique), which is favoured my most steep skiers these days. 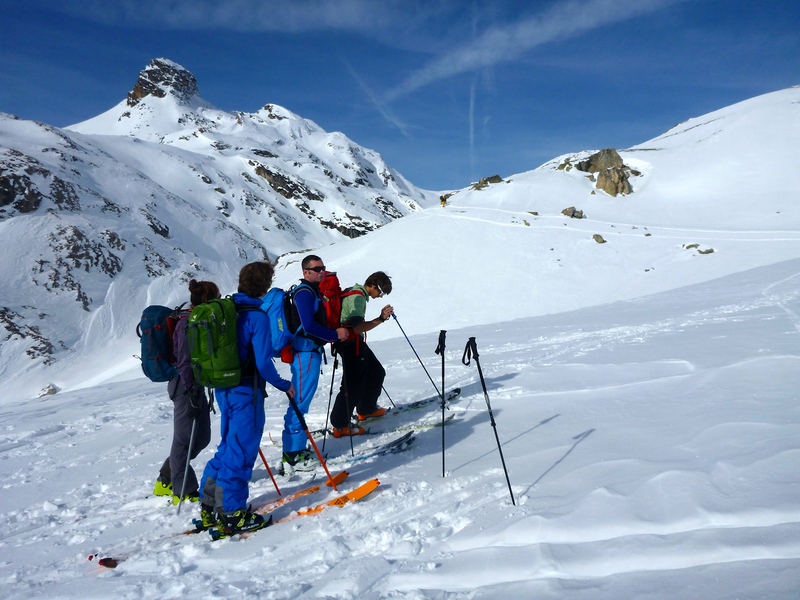 The avalanche course in La Grave was an interesting opportunity to examine this year’s unusually unstable snowpack. The early snowfall in November followed by a month of cold and dry weather led to faceting, which formed a persistent weak layer in the snow pack, especially on north facing slopes. Here is a facet. They are identified by how angular they are, which means they don’t bond. 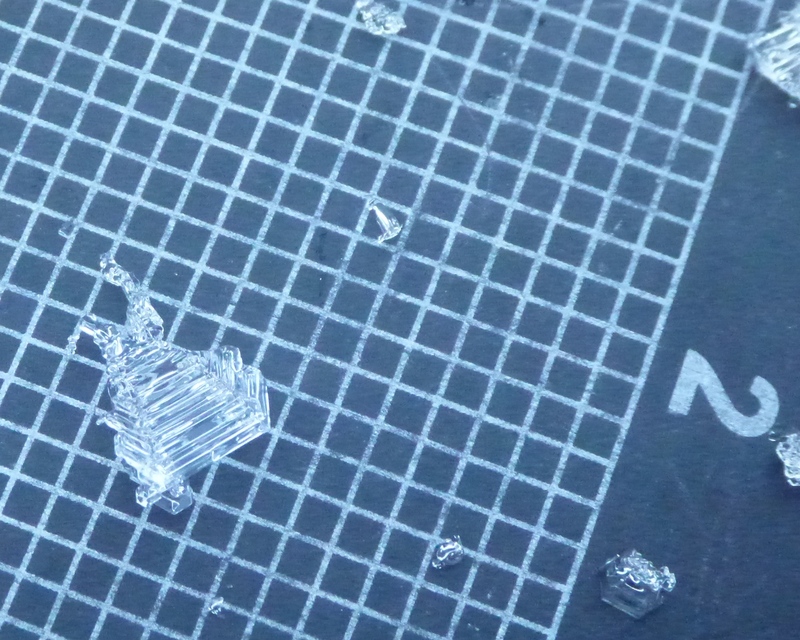 Each sqaure is 2mm. 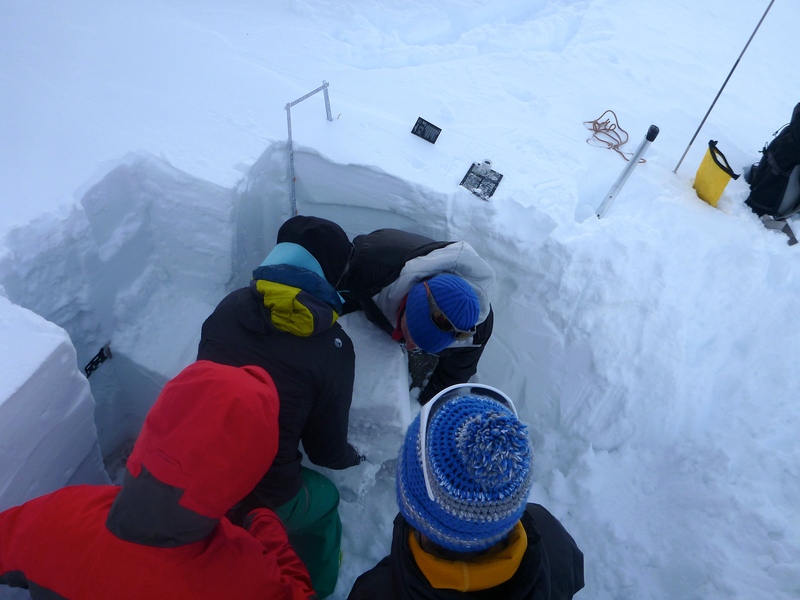 Digging and analysing a snowpit. Touring up on the south side. The snow pack was quite different, and there were far less facets due to less of a temperature gradient. 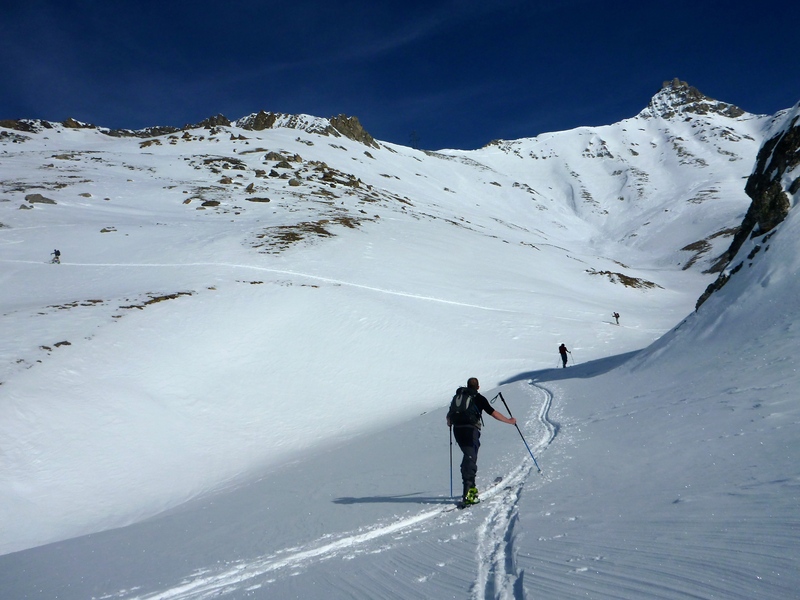 For the assessment we skied the classic Trifide and Bannane couloirs and found good powder in the trees. The mighty Meije. 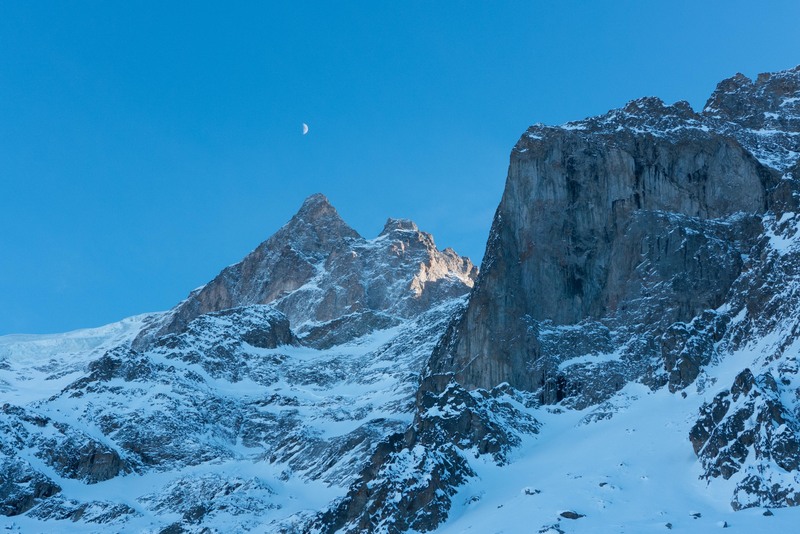 Dreaming of the mythical steep lines high on its imposing north face. I’ll be back. 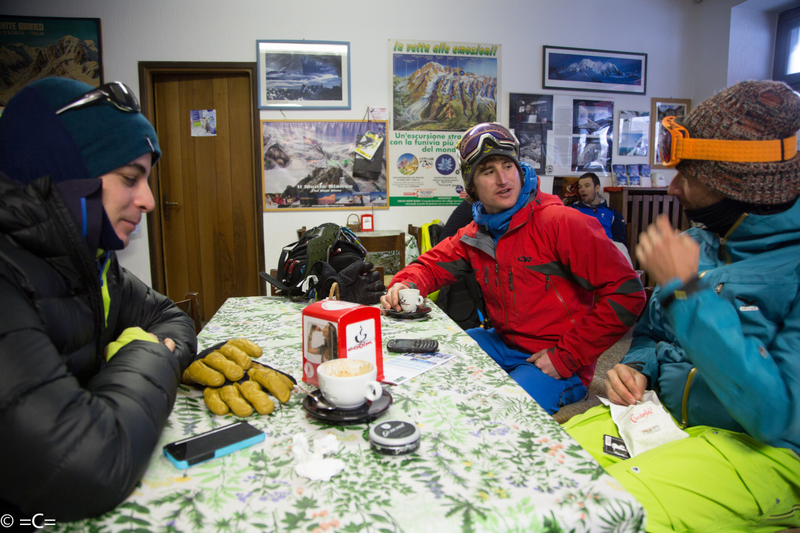 Over the last week I have been in Italy skiing epic snow and hanging out drinking coffee. The Cafe in La Pauld. For me and many other local riders, this is a really special place to ski (and socialise), something we all hope won’t be irrevocably altered by the development of the new monstrous lift. The current lift is a relic from a bygone era, where the arcane infrastructure and epic untouched terrain gives an instant feel of adventure. The skiing has been pretty ok.